Within the framework of the “Called to be One” Exploration Day on Saturday 6th September 2014 the following video was made by the Torbay Ordinariate Mission. 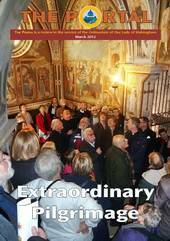 It includes, among other interesting features, an interview with the Ordinary, Monsignor Keith Newton. In May 2012 Msgr. Steenson gave a talk in Beverly, Massachusetts, on the ecumenical aspects of Anglicanorum Coetibus, which is worth viewing. (quoted from catholicismpure.wordpress.com:) The following text has been edited from Mgr. Keith Newton’s address and answers to questions from the floor at a day of exploration hosted by the South London Ordinariate Group in Kennington on 29 January, 2011. As I begin to say something about the Ordinariate, you must realise that I have been living and sleeping this for the last fifteen months, ever since the Apostolic Constitution Anglicanorum Coetibus was published in November 2009. A lot of things have been going on and my part in it has been relatively small, despite what some of the press might say. Bishop Andrew Burnham and I had not been involved in any way in producing that document. When it arrived, what was in it was as much of a surprise to us as it was to many other people. We had indeed been to Rome; and we had been told that problems for Anglo-Catholics who wanted to be in communion with the See of Peter were a matter that the Congregation for the Doctrine of the Faith was going to be taking very seriously. Thus it ended up producing Anglicanorum Coetibus. Over the year since, what we have done – including, in my case, several trips to Rome – has always been with the knowledge of the Archbishop of Canterbury. I have been quite upset by the press at times, when it has been suggested that we have been going behind the Archbishop’s back. You may remember, for instance, when we went to Rome in April 2010, that, as we were on our way back, the Sunday Telegraph published a front page article stating that neither the Archbishop of Canterbury nor the Archbishop of Westminster were aware of it. They were not only well aware, they gave us their blessing. So, as I was saying, I have been planning and thinking about this for a long time. In September 2010 there was an interesting article – I cannot remember who wrote it, but it may have been Ruth Gledhill in The Times – about going to the Ordinariate, in which the reporter said she had spoken to a senior Anglican figure, who could not hide his delight in telling her that the Ordinariate project had been put on the back burner and that Rome was back-pedalling like mad. I remember thinking that this was not true; but I also thought that in a sense it was, because, if any of you do any cooking, you know that you put things on the back burner not to forget them but in order for them to simmer, so that they are ready when you are ready, and you can just turn up the heat to finish the cooking and everything is fine. So the Ordinariate was on the back burner, simmering nicely, ready for the heat to be turned up – and this is now what has happened. People say that Romewo rks in centuries. What has been amazing to the Catholic clergy that I have been having conversations with about the Ordinariate is just how rapid this process has been, both in terms of the ordination of Father Andrew, Father John and myself and also the programme to erect the Ordinariate and begin the entrance of those groups who wish to join it. It is proving to be a very rapid process and it is making my head spin. I was still the Anglican Bishop of Richborough until 31 December last year. Then I was received into the Catholic Church on 1 January 2011 and on 15 January we were ordained priest, having been ordained deacon two days before. In the speech I made at Archbishop’s House after our ordination to the priesthood, I said that this was almost as quick as Cardinal Manning. But the Archbishop of Westminster pointed out, “No, you were much quicker than Cardinal Manning. He took two months and you took two weeks!” This is amazing in itself; but the reason is because the Congregation for the Doctrine of the Faith was very clear that it was important for us to be ordained to be ready to meet those groups that were going to join us, to prepare the way – and a lot of work needs to be done – and make sure that this thing runs smoothly. Since I became a Catholic, I have not been able to do very much really except work on the Ordinariate. My mail box is overflowing. But you will know that some things are becoming clearer now. The timetable is that those who wish to join the Ordinariate will leave their Anglican congregations by the Sunday before Ash Wednesday and from Ash Wednesday until Easter there will be a period of catechesis, of learning what it means to be a Catholic. That will take people through to Holy Week. The clergy who have been involved with groups will remain with them and, depending on the Catholic diocese people are in, the catechesis will either be delivered totally by the Anglican priest, or in some dioceses totally by Roman Catholic priests – but probably in most cases it will be by a combination of both. Then people will be received ideally on Maundy Thursday – but it could take place before Maundy Thursday, perhaps on Holy Tuesday, or at the Easter Vigil. But the best time will be on Maundy Thursday. Those to be received into full communion with the Catholic Church will probably be received by their own parish priest and then they will be able to take part in the Triduum – Maundy Thursday, Good Friday and Easter. This way will be better, because you will know that in the Rite of Christian Initiation of Adults the completion of initiation, confirmation and Holy Communion is deeply linked with the experience of going through the Triduum and its climax at the end of Holy Saturday in the Easter Vigil. 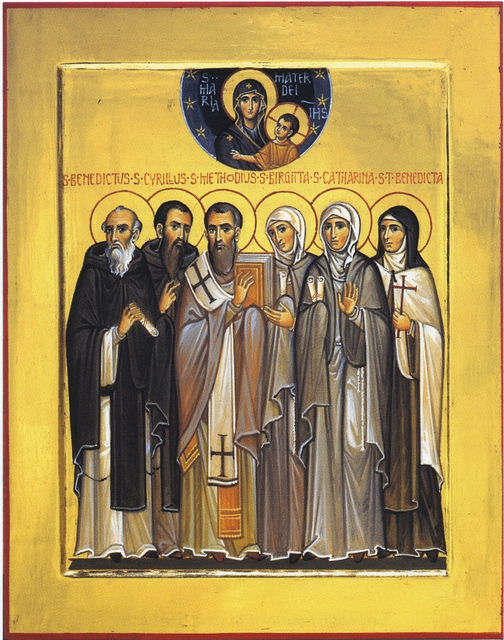 Now, the RCIA is for new Christians; and so it is very important to distinguish between those who are being baptised (or who are coming into full Church life more or less for the first time) and those who are long-standing members of the Church in another denomination, but who are now coming into full communion with the Catholic Church. So we will not be using the RCIA process, or rite. Instead there will be a small rite of reception and confirmation in the Catholic Church that is appropriate to the groups of already practising and their members. After Easter, catechesis will continue, probably for several weeks leading up until Pentecost. Thus there will be a sustained period of catechesis before and after Easter. Already many of the groups have been using Evangelium, which is a course on Catholic teaching and practice lasting something like 26 weeks. They are really enjoying it, so we are even now seeing how good catechesis in the Christian faith and discipleship may be as an ongoing feature of life in the Ordinariate. Cardinal Levada is very keen for the Ordinariate laity to be well catechised – many other Catholics will not have done much catechesis in their recent experience, but that is no reason for us not to; and perhaps it will be a strength that the people in the Ordinariate can offer to the rest of the Church. The Sevenoaks group is maintaining its identity as a Walsingham cell, meeting monthly for a mass, a talk and a meal. This will mean a continued structure arising from their Anglican patrimony, but it also offers an appealing way to provide ongoing catechesis. This will also provide a good structure on which to build future growth and development. As for the priests, they will also join in and contribute to the catechesis with their groups; but at the same time they will start a process of formation for ordination. That will take place in London for all the clergy on one day a week from Ash Wednesday until Pentecost. At some point in the Easter season those whose petitions for ordination have been accepted by the Congregation for the Doctrine of the Faith (and when a number of other steps have been followed) will be ordained to the diaconate shortly after Easter and then to the priesthood around Pentecost. Their formation will continue further for up to two years. It is not that those priests who are coming into the Catholic Church for the Ordinariate are going to get a much quicker or shorter formation than any other ex-Anglican priest who becomes a Catholic and is eventually ordained. I know a number of people from my old Richborough area, who are now at a seminary and who will presumably be ordained in about two years’ time. So the process is equivalent and it is just that ordination comes at a different place in it. We also need to be clear (because I have heard one or two comments in which this is misunderstood) that those clergy who are petitioning for ordination in the Catholic Church in the Ordinariate will have to go through a very similar process of discernment to that of anybody else who seeks ordination in a diocese and who thus wants to become a seminarian in the Catholic Church. For instance, I have just been to St Luke’s Centre in Manchester for a few days to see the assessment and discernment that our clergy have to undergo. Additionally, necessary references will have to be taken up and the local diocesan Catholic bishops will also have to be happy with candidate clergy, since they will have to serve both the Ordinariate and the local diocese. All these things, including CRB checks, are now in hand. So, that is the point at which our preparations find themselves and it is not long – about six weeks – to Ash Wednesday, when the process will begin. At that point the lay people will have to decide whether belonging to the Catholic Church in full communion is what they want to do. They will not need to make their final commitment until just before they are actually received, so there is plenty of opportunity for exploration and discernment in good faith and without pressure. But when the moment comes for making a commitment, it will be after a great deal of thought and prayer. 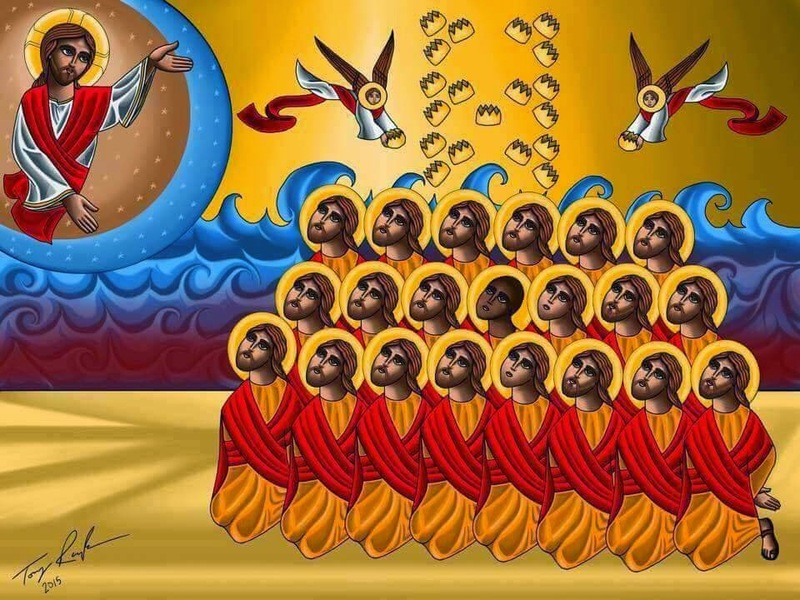 The form it will take is that they will have to profess the Christian faith, usually by saying the Nicene Creed, and also agree that they believe everything that the Catholic Church teaches, signing a declaration to that effect. Then they will be received and chrismated, thus receiving the sacrament of Confirmation in the Catholic Church. It is worth saying at this point that there is no such thing as a second class Catholic. This is very important to emphasise, because I have heard it said even by the Archbishop of York in a debate that, if he was going to become a Catholic, he would rather be a proper one and not a second class one. Let me tell you that that is nonsense – there are no second class Catholics. You are only a Catholic by belonging to one particular group or another – a diocese, or a religious order or some other kind of structure suited to a purpose, or group of people. First or second class does not enter into it. The Ordinariate is simply one of those ways in which you belong to the Catholic Church. So I cannot see what point Archbishop Sentamu was trying to make. Perhaps he does not understand that the Catholic Church is much more diverse than most people realise. This is what makes it Catholic. I happened to be in Rome in October last year at the end of the Synod of Bishops of the Middle East. The final mass at which the Pope presided was very interesting, because normally, when you see a Papal Mass, it is all very beautifully choreographed and all the vestments match, and so on. But for the mass at which the Eastern Bishops concelebrated everyone was wearing something different – they were representing so many parts of the Catholic Church, from the Maronites of Lebanon, the Catholic Copts, the Melkites – there are all sorts of people, belonging to many different Churches in the one Catholic Church. And the Ordinariate in England & Wales is just one new part of her diversity. We are mostly looking at the situation here in England. But do not forget that the Apostolic Constitution is not just for this country, it is for the world. Anywhere in the world where there are groups of Anglicans who want to come into full communion with the Catholic Church, they can form a possible Ordinariate group. The only groups being formed at the moment are in England and Wales, in Canada and in the United States. In Australia they are slightly behind us, but they are catching up and there could be one formed this year. For the time being, any Scottish groups will be linked to the Ordinariate in England and Wales, until such time as there is a large enough group to have its own Ordinariate within the territory of the Scottish Conference of Catholic Bishops. If there were groups in Ireland, they would need to go to their own local bishops in the Church in Ireland and say they wanted to form an Ordinariate; and the bishops would have to respond to that. But, as far as I know, nobody has done that yet. At the moment we have no group in Wales, but it would be possible. I have even had someone mention to me the possibility that there may be a group in South Africa too. Again, this is all possible. Wherever people are, all it takes is for them to approach the local bishop, say they wish to form a group and then he will have a conversation with the Congregation for the Doctrine of the Faith and they will see what can be done. So an Ordinariate is not just a special arrangement for people in England and Wales, or for that matter in North America or Australia. It is universal and thus provides a new canonical structure for people to belong fully to the Catholic Church. In this, no one is “second class”. Now let me turn to some of the questions people have asked. What about “Anglican patrimony” and how exactly can it be identified? It has often been said that a distinguishing mark of Anglican identity, as distinct from the usual Catholic practice, is receiving communion in both kinds. I have to say, however, that I have not been to a Catholic church recently where the laity was not invited to receive the sacrament in both kinds. Obviously, in Westminster Cathedral, where there are enormous numbers, that is not normally feasible, but at most Catholic parish churches that I have been to the option is there. Not everybody takes it up, but it is more and more usual to do so; and I imagine that in most churches it is encouraged and not really an issue. Certainly in Ordinariate parishes I would expect that it would be the norm. Beyond questions of custom and usage, much more difficult is the underlying question about what patrimony means and what makes it. I do not think we will really get to flesh this out until we start to live it out. It may be something about the way we do liturgy; it may be something about the words of the liturgy. Currently there are people who are working on an Anglican form of worship for the Ordinariate to use. It will not be exactly like other Anglican forms of worship, because it must conform to Catholic doctrine and, more than that, express it clearly. This means it will need to have been ratified by the Congregation for the Doctrine of the Faith. The Americans already have an enormously thick Book of Divine Worship. If you go to one of the Pastoral Provision parishes you will be given one of these to use, but it is so thick that it hardly fits in the pew. It is also nearly twenty years old and is not going to be reprinted, partly because of the new opportunity created by Anglicanorum Coetibus and partly because in the light of two decades of experience it could benefit from revision. There is a group of people here in England working on a liturgy for us that has an Anglican flavour about it and that will inform, and be informed by, thoughts in other parts of the world where there will be an Ordinariate using Anglican patrimony in their Catholic worship. There is also something about hymnody. Then there is the spiritual history that we are bringing with us. I think it is very interesting that, if one becomes a Catholic, normally you say “I’m going to become a Catholic” and you take on a new history, the history of the Catholic Church in England and Wales. The history of the Catholic Church from 1500 to 2000 is something people should know more about and it is going to form part of people’s history if they join the Ordinariate. But becoming a Catholic in the Ordinariate does not mean people will be putting aside their own history – they will be taking it with them. They will also be taking spiritual writers and theologians. For instance, I was taught by the great Eric Mascall, who was much revered by many Catholic theologians too. There are other great teachers in the Anglican Communion. I had a meeting with Cardinal Schönborn a couple of years ago and it came out that he is an incredible fan of C. S. Lewis. So there is such a wide range of experience, culture, theology, spirituality, people, worship and history that all goes into making up the Anglican patrimony. Another side to Anglican patrimony is our tradition and systems of governance. That prompts the question of what involvement in the Ordinariate the laity will have. What needs to be understood is that there were two documents produced in November 2009. There was the Apostolic Constitution which is, as I understand it, basically about canon law; and to go with that were the Norms. The Apostolic Constitution cannot be changed, but the Norms can be altered by the Governing Council of the Ordinariate. There may be part of those norms concerning which we might say, “Is it possible to do it this way?” So there is room for adaptation and development, given particular conditions. Nevertheless, even now, in the Norms as well as the Apostolic Constitution itself there are certain things that have never happened in the Catholic Church before. I do not think people realise how enormous these changes are. For instance, the Holy Father has decided who is going to be the first Ordinary. It was his choice to make at the beginning, but in future the Ordinary will be chosen by the Holy Father on the recommendation of three names sent to him from the Governing Council of the Ordinariate. Now, that does not happen elsewhere in the Catholic Church. Generally when a diocese is vacant, it is the nuncio who makes consultations and produces the terna of names that he sends to the Congregation for Bishops in Rome. In our case, however, there is a more democratic aspect to it that has never been there before. The Governing Council, which is made up of clergy, some appointed by the Ordinary, some elected by the priests of the Ordinariate, will produce the terna. Also, there is to be a Pastoral Council. As I understand it, the Pastoral Council of a Catholic diocese is voluntary and at the discretion of the Bishop. It is advised, but not mandatory. But in the Ordinariate it is mandatory and it will involve laity in the governance of the church; and that, too, is something quite new in a Catholic setting. My reading is that this is a national, not an area or group, Pastoral Council, designed to work with the Ordinary and he with them. There will be a mandatory Finance Council that lay people can also be involved in – it is not limited to clergy. Furthermore, I expect that the Pastoral Council and Finance Council at the level of the whole Ordinariate will be reflected in local parish groups too. So every parish will have a Pastoral Council and Finance Council in which the laity are to be involved. Thus one of the things about the Anglican patrimony that we will be bringing to the Catholic Church will be this involvement of lay people. Not that we want Synods like the General Synod – God preserve us! – but there is a legitimate and proper role in evangelism, in mission, in finance and organisation which the laity should take part in. This is not concerned with arguments over doctrine, liturgy and the order of the Church, but the rightful role of the laity in living out their Catholic faith through the work and witness of their Church. If you read the commentary that accompanies the Apostolic Constitution by Fr Ghirlanda, who is a canon lawyer and Rector of the Pontifical Gregorian University in Rome, he makes the point that there are certain things that are very clearly identifiable as aspects of this or any local Catholic Church, but there are additional attributes that are part of the Anglicanism we bring, that other Catholic Churches have not known and yet will be intrinsic to the Ordinariates. He clearly names the involvement of the laity in the governance of the Church. It is something I want to encourage. As much as it forms part of our patrimony, it will also be very new to us, because we will not be doing it in exactly the old way as in the Church of England, but in accordance with Catholic canon law. It will also be new to our fellow Catholics, and they will be very interested to see how it works and possibly what can be learned from it. So lay involvement as part of the patrimony we bring is something we should want to develop properly. Another question concerns why a separate Ordinariate is needed – why cannot Anglicans becoming Catholics just join in together and contribute to their existing local parishes and dioceses? Will members of the Ordinariate lose out on the experience of belonging to the mainstream reality of the Catholic Church in this country? Is there a risk that they will define themselves too tightly and just look inwards to themselves, rather than outwards to others in the Church, Christians in other Churches and, perhaps more importantly, to people in the wider world? 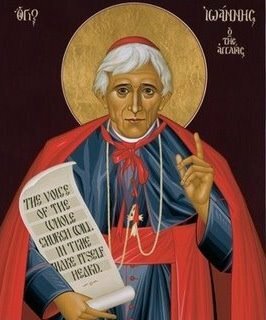 Someone recently impressed upon me that the prophetic side to the Ordinariate, that Pope Benedict is hoping for, might get lost. Well, to me it would be a tragedy if we in the Ordinariate, lay people and clergy alike, became so absorbed with finance, administration and ritual rubrics that we failed to look outwards with our Catholic faith that has, after all, brought us this far. Yet, unless we form a grouping in our own right, there are certain purposes that the Church needs that we will not be able to serve. We have to play our part alongside our fellow Catholics in service and in mission by adopting a distinctive role. And that includes taking our place in the Catholic Church’s ecumenism. We have to be a bridge. Building a bridge is about linking up two sides; and we cannot begin to perform that function unless we are connected as part of the wider Catholic Church and it is connected as part of us. That is going to take a bit of time to settle down; but I do believe passionately that that is what we should be and that is what the Holy Father wants of us. I do not want us to be defined as ultra-right-wing traditionalists or “more catholic than the Pope” – that is not true of us in any case. For the true story is not about our separateness, but our journey more deeply into the Catholic faith and the fullness of the life of the Church. For me, this has been going on since I was a young Anglican priest, who passionately wanted to be in communion with the rest of the Catholic Church. I had always hoped and imagined that full communion and unity between Anglicans and the See of Peter was going to turn out in a different way, but God works in ways that we do not really know; and so the Ordinariate is the answer God has given to our prayers. He has his reasons. And it will be up to the people joining the Ordinariate to make sure that they too have the same spirit of belonging to the whole Church – and serving as one of its links to the Anglican tradition and its vital sense of its place within wider English society too. As I said in my statement at the press conference, “I’m all for building bridges, not burning them down”. But it will all take time, not least because there is some rawness felt among Anglican church people about the Ordinariate and those who may be leaving to join it. But I think with time it really will be possible for the Ordinariate to be a point of contact and friendship between Catholics and Anglicans and even an instrument in the ongoing work of reconciliation. One place where it might be possible is Walsingham itself. I cannot believe for one minute that Our Blessed Lady wants two separate shrines. Yet at the moment there are two; and I hope that there will be an opportunity for the members of the Ordinariate, when we go to Walsingham, to form that bridge, a bigger bridge than there has been before. Certainly, since I have had conversations with the Guardians of the Anglican Shrine about how that might be possible, I can hope that when ordinary Catholics go to Walsingham they will be as much at home at the Anglican shrine as at the Catholic one. And we have already seen how members of the Ordinariate can still be part of the Anglican Shrine through maintaining their Walsingham cells. This could be our bridge to link the Catholic Church and the Anglican Shrine. This leads into another question about people’s contacts with the Anglican people and the Church building they have known and loved, once they become Roman Catholics in the Ordinariate. People will need to leave their church and their Anglican worshipping community with their priest on Ash Wednesday. There has to be a genuine “moving on”, in becoming a Catholic in full communion. It is not simply going to be “business as usual”, because not all of people’s friends and fellow Christians desire or feel called to Catholics. We were hoping that there might be a possibility of sharing buildings, even providing for the Roman Catholic priest who is to say mass for the groups in the period between Ash Wednesday and the moment their own priest is ordained to the priesthood, to do this in the group’s accustomed place of worship. But this is looking less and less likely, because the Church of England has put out a legal position to address such an eventuality already. The suggestion is that, if there is to be any sharing of buildings by Catholic former members of a congregation, it would have to be agreed with the new incumbent and the PCC of those who remained in the Church of England. So it looks as if sharing is not going to work; certainly not in the short term. Clearly there is something about leaving and moving on in becoming a Catholic. This is hard, but in fact it is part of our journey: no one said it would be easy. In the 1980s, I was a missionary in Malawi and I remember to this day being at Gatwick airport. I had two young children – four and one – and my wife. She never wanted to go to Malawi. When she was interviewed, they said to her, “Why do you want to go to Africa?”, and she said, “I don’t!” They said, “Then why are you going?” She replied, “Because my husband sees it as his vocation.” They then asked her, “Do you do everything that your husband tells you?” “No, I don’t,” came the reply. But she felt that it was very important to support me in what I thought was my vocation, to go and serve in a different part of the world. But she will tell you that, as we walked through that big airport, she felt it was like going into a prison. We had no idea of what life would be like. We had never been to Africa in our lives. We did not know where we were going to live. We did not know if people wanted us there. We did not know whether we would be welcomed. We did not know whether we would manage, whether we would be paid – I was going to earn only a third of what I was earning in England. There were all those unknowns; but we did it. And in truth, there was no point in all the time that we were there that we felt on our own. In life, you just sometimes have to take a step into the unknown and trust that God is going to hold you up. It is an act of faith. Now, between Ash Wednesday and Easter Day people preparing to be received will be asked not to receive Holy Communion. For some people that is a sticking point; but certainly Fr Andrew Burnham, Fr John Broadhurst and myself did exactly that during Advent. I stopped receiving Communion in the Church of England just before Advent and during Advent I went to mass in my local Roman Catholic parish. It was far from easy, as I sat in the pew. But it was an important part of the process for me, a really important journey of change; because, by the time we had got to the end, we were longing, just longing, to receive Our Lord in the Blessed Sacrament. That is an experience that we all need to go through. Remember, anyway, that the obligation on Catholics is not to receive Communion, but to be at Mass every Sunday. I think we have got into a position, even within the Catholic Church, in which everybody thinks that the point of coming to Mass is to receive Communion. It is not – it is to take part in the re-presentation of Our Lord’s saving works. Holy Communion is the fruit of that and we encourage everyone to receive. But it is not always necessary. So, those preparing to be received I urge to take that period between Ash Wednesday and Easter as a period of growth. Having gone through it myself, I think they will find it a very necessary step to have taken on their journey. Where the groups of new Catholics in the Ordinariate groups will worship (if, as seems likely, they cannot worship in their old church) will be decided by the local Catholic Deanery, in consultation with the Ordinariate priest. Probably through the first part of the catechesis period it would be best to join in the worship at one of the local Catholic parish’s major liturgies alongside your own pastor, who will be doing the same, at least until he is made a deacon and can take a liturgical part. But it would also be good to meet as a group in your own right, to pray together once a week, or say the office together. Thus, as well as being part of the Catholic Church near you, you should still keep together as a group. What about people who have positions of lay responsibility in their Anglican parishes, who are keen to join the Ordinariate, but for whom moving is complex, given certain legal obligations? Well, as a matter of fact, there has been some advice from the lawyers about this. Those who are church wardens need to hold the public annual parish meeting earlier. This can be done at any time and it does not have to coincide with the annual general meeting of the congregation. This will enable the election of fresh church wardens for the parish. As for a Treasurer or Secretary of the Parochial Church Council, there is no need to wait for an AGM; and those joining the Ordinariate should pass these responsibilities in Anglican congregations on now. Of course, there would be nothing wrong with a period of handover from a distance for a few months, if that would help the situation. We do not want to be seen as those who went away, forgot about those who were left, did not care and left others to pick up pieces. This all wants to be done as smoothly and helpfully as possible. Someone asked me at the press conference, “Don’t you care about those who are not coming?” I said, “Of course I care about them. I wish they would follow me. Not all of them are following me at the moment and more will follow as time goes on. I do care about them.” The way we deal with this will be important as we do not want to be seen to be the cause of bad feeling. But people resign and hand over tasks all the time, so there is no reason why this should not be handled in the same way. There are slight anomalies concerning elections of PCCs, as technically Catholics and members of other Churches, too, can be members. But I do not think that would be particularly helpful. I understand how difficult it is for people to make the decision to move from what they know and love, especially if they have been closely involved through friends, schools and family connections. It has been the same for me. But if acting on a call to go forward on the journey to be a Catholic is what we really want, then we need not fear the unknown. Christ is there for us whatever trials we have to face; he is with us in our agonised decisions, with us on our journey as we trust him to lead us, and he is there to welcome and guide us wherever we go. He is always there for us and it is he for whom we are Christians. The important thing is for everyone, Anglican and Catholic, to focus now on where the Lord is calling them to serve him and thus where they ought to be in the Church. There will always be plenty of jobs going in the Ordinariate groups, so I don’t think we will allow anyone to get away with doing nothing! What about individuals who are isolated from where potential groups are based or who live out in the sticks? Of course, the Ordinariate is for groups of Anglicans, so, obviously, if people can become part of a group, or at least be associated with one, that would be best. The Ordinariate website has them all listed. It is a list that is growing all the time, as people are becoming more public about them. But there remains a major problem for isolated laity and I have raised this specially with Bishop Alan Hopes, the Episcopal Delegate for the Ordinariate from the Catholic Bishops’ Conference of England & Wales. It is quite clear that when Fr Ghirlanda wrote about the Ordinariate he said it was both for groups and individuals. So no one should miss out on belonging to the Ordinariate who wants to, just because they cannot belong to a group. So, individuals who live where there is no group can still be part of the Ordinariate, but they worship at a local diocesan church. Already three or four people have been in touch with me to say that – amazingly – there is to be no group in Brighton. My advice has been to go and see the local Catholic priest as a first step and we can take it from there. In the case of Brighton, I have sent people to Fr Ray Blake, who I know is passionate about the Ordinariate and will welcome them with open arms. People should ask if they can be catechised and received into the Catholic Church at Easter and register not as a member of that local parish but as a member of the Ordinariate. This is entirely possible. Individuals would thus worship in the local diocesan Catholic Church and perhaps sometimes go and visit an Ordinariate group elsewhere for contact and support. It may even be possible to register with a group at a distance, even though a person would not normally worship with it. We hope that, should a group form in Brighton (and that may be possible if we get 5 or 6 people at least), it could form a nucleus around which more Church life could grow into a viable regular congregation. The number constituting a group is not defined, but it is meant to be a “little church”. Until a group can form itself with some strength and momentum, an individual would still be a member of the Ordinariate, although normally worshipping at an existing local Catholic Church. That is the best that can be done at the moment, but we can see how things develop in the time ahead. So, nobody should say that, because they have no group nearby, despite dearly wanting to be part of the Ordinariate and not a diocese, they will need to wait for 3, 4, 5, 6, 7, 8 or 9 years until a local group finally emerges. Those who feel God is calling them in the direction of the Ordinariate should come. They can be received into full communion with the Catholic Church through the local parish and in due course, I am sure, groups will begin to form. I do not doubt that that will include Brighton. If people experience real problems with what I have suggested, they should come back to us and we will not lose track of people seeking to join the Ordinariate. Beyond what I have mentioned, I do not know how just yet; but it is work in progress. In the meantime, nobody should be left behind waiting for a group to form in their area. One of the problems in the minds of some people may be that not all local diocesan Catholic priests are as supportive of the Ordinariate as others; or they do not understand its procedures, or the purpose it is supposed to serve. I am in discussion with Bishop Alan about the necessary instructions to priests on how to respond to individual enquirers and this may take the form of a letter from the local bishop. It would be important, for instance, to steer priests away from channelling people to the RCIA. By now RCIA courses will have been up and running since September and normally new enquirers will be encouraged to wait until the next sessions being in autumn 2011. As we were noting earlier, however, the RCIA is not appropriate for already baptised and practising Christians – especially Catholic Anglicans – and the agreed aim is in any case to prepare people for reception in Holy Week. I am sorry that some people have already had the mistaken advice to wait and join the RCIA process, but I can confirm that the Catholic Church in this country understands that people coming into the Catholic Church from the Anglican Church are in a different category and need to be treated in a different way. For instance, in the catechesis of a practising Anglican, you would not need to spend a lot of time on the Nicene Creed. A well instructed Anglican would believe and comprehend it in any case, otherwise they would hardly be at the point of seeking to belong to the Roman Catholic Church. That said, however, there are real differences between the Anglican and Catholic Church: different ways of doing things and different ways of expressing and understanding the faith. For some this may be problematic and need to be worked through. So a more suitable catechetical programme is being formed and there is no reason why this could not be available to diocesan priests asked to prepared and receive individuals who wish to join the Ordinariate (and we have already mentioned how useful the Evangelium course has been for those who are already well versed in their Christian faith and Church life). As long as priests have the right advice from us and access to the right resources, I suspect that in practice they use their own judgement as to what is necessary. It is worth saying that any enquirer as an individual or in a group is under no pressure because they simply wish to explore possibilities. If someone goes through the course and then says that they are not quite ready, that is fine. If may be that they feel ready later on and I should have that that they could be received then, perhaps following a further conversation with the priest who was preparing them before as an individual, or the priest who leads the group to which they wish to belong. Once the Ordinariate is set up, reception will be the responsibility of the Ordinariate priest, not the diocesan priest. But I am sure that taking time for discernment will be respected and taken into consideration as a real part of a person’s experience that leads to reception. At the moment, enquirers have been asked to fill in a little form on which we record people’s details. This includes a place for them to sign, confirming that they believe all that is taught by the Catholic Church to be true. Some people have told me that they are not ready to sign it yet, so I have said “Don’t sign it.” It is not necessary for people to do so until they are ready to be received, and the period of exploration and discernment is still under way. So there is plenty of time yet. Besides, it is a personal profession of faith that has to be right for each person. People are not joining the Catholic Church just as a group – they are fundamentally making an individual profession of faith. People may be planning to do this together, but there is an individuality on which it all depends. Fr Andrew Burnham had said it is a bit like going on a pilgrimage to Walsingham: you all pay for it separately, but you get on the bus and go together. At this point it seems fitting for me to pay tribute to the sisters from Walsingham. It was not just the three former bishops and their families who left our positions in the Church of England. We were accompanied with the advice and preparation of good Catholic priest-friends and our fast from the Eucharist was barely the month of Advent. But the sisters went without Holy Communion for three months, as they waited on the Lord. Sister Wendy tells me that, usually in the past, when she had gone to a Catholic mass she had been quite upset not to receive Communion, because she thought, “I’m being refused Jesus here and I really can’t stand it.” But she says that three months was easy, because the sisters knew what the end result was – receiving Communion in full communion with the Catholic Church with the Successor of Peter. What if they had held back and come later? Would they have spared themselves a great deal of heartache? But this was a great sacrifice they offered in order to be faithful to our Lord. I think it was God’s will, and this is why they are an inspiration. It was so pleasing to us to have them with us at our reception too. 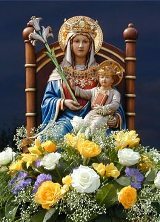 And then to find out that the Ordinariate is to be called the Ordinariate of Our Lady of Walsingham reveals how God has been in it all the way. When will the second or third wave be organised, if people are not ready to go at the moment? Well, there is no closure on the Apostolic Constitution. It is now a permanent part of the Catholic Church in England and Wales. It will be part of the Catholic Church in other parts of the world, too. There is no closed door. Once we have opened up the way this time round, we then have to start to deal with others who come after. Hopefully, we will learn something from the process we have undergone, particularly with regard to the clergy in planning with the theological educators on how it is going to be done and what is needed in the future. It seems to me that you cannot start up a new process of formation for clergy every month. You would have to arrange it in semesters, or something like that. Already there are more priests coming to me and asking, “How do I join the Ordinariate?” Probably they are a bit late to join at the moment, because the process for discerning clergy for ordination is well on its way. So I doubt if anyone coming to me now, particularly if they have a group with them, will be able to be ordained in the first wave. But I am sure it can be organised well for a future point. There will be no problem over the catechesis or reception of lay people, but the practical difficulty will concern the formation, time and resources needed for the ordination of clergy. That is part of a conversation we need to have with the bishops and the theological educators in the seminaries, so that we are sure we can devise a process that runs smoothly. What about retired Anglican clergy – will they be able to belong to the Catholic Church through the Ordinariate and continue to serve in a priestly ministry? Anglicanorum Coetibus is for groups of Anglicans, although, if you read Fr Ghirlanda’s commentary, he says it is for individuals as well as groups. But the questions that have to be answered about individual priests not linked to a group are (a) are they useful to the Ordinariate or could they be? ; and (b) are they useful to the local diocese or could they be? It is quite possible for someone to be ordained within the Ordinariate, who would normally exercise his ministry within the diocesan context because he is not linked to a group and has no group he can be linked to. But it would require me to have a conversation with the local Catholic bishop about that person from the beginning, as it would be a question of whether he is going to be useful and work alongside the other priests in the diocese. There is also the question of how the Congregation for the Doctrine of the Faith will look at applications from people who are not in groups. I doubt whether they would say they could be ordained purely on the grounds that they want to say mass privately since that is what they have done all their life. In any case, there needs to be a pastoral process of discernment for each of the priests who enter the Ordinariate and that will always involve a conversation with the local Catholic bishop about his views and needs. That is because we do not expect the Ordinariate clergy to be confined to ministering within the Ordinariate. They cannot be. If they only have one congregation to look after 30 or 40 people, then they have the time on a Sunday or a Saturday night to help with the local diocese; and so they should. Diocesan priests are overworked and they have a lot of pressure on them. There are big congregations and the more the Ordinariate clergy help the local clergy, the more the Ordinariate will be accepted as part of the natural Catholic life of the Church in England and Wales. Even now, if there are any Catholic priests who are complaining about the Ordinariate, I have not met them yet. All of them have been so enthusiastic, want to be helpful, want to be encouraging and hope that we will equally want to be part of the local Catholic life. The best way forward is for there to be reciprocal support between the clergy of the Ordinariate and the clergy of the diocese – and in the case of all our Ordinariate priests, those with groups and those who are isolated, the local diocesan bishop will need to be happy. But I think this will be quite possible. What about the finances of the Ordinariate – how will it be funded? We are currently trying to set up a charitable trust, which will take a little bit of time. There are two ways of giving to the Ordinariate at the moment. The first is to give directly to CaTEW, the Catholic Trust for England and Wales, which is a Catholic fund held by the Bishops’ Conference, of which I am now a voting member. They have ring-fenced a fund for the Ordinariate within their accounts, so that anybody who sends money to them for the Ordinariate can be assured that it will be devoted to this purpose alone. We already have £250,000 given by the Catholic dioceses of England & Wales; we have been offered some money by Forward in Faith and the Catholic League, too, is offering assistance. Very interestingly – and I am very touched by what happened – in November I went to Pluscarden Abbey near Inverness, which has great Anglican links through Aelred Carlisle, who had been a monk on Caldey Island. When he left the Anglican Church, the Caldey monks divided into two. Most of them became Catholics and formed Prinknash Abbey, while some remained and formed Nashdom Abbey, which became Elmore Abbey and is now in the Close at Salisbury. The Prinknash monks founded Pluscarden Abbey in Scotland; and, when you go into their chapel there, you will see a picture of Aelred Carlisle and several others in the community with Anglican backgrounds. Once I had resigned as Bishop of Richborough, I went there to get some rest away from it all for a moment. For example, there had been a lot of press interest surrounding our resignations. But, when I sat down for our first meal, I was greeted by what the monk began to read from the lectern during supper. He said, “News from The Tablet – three Anglican bishops have resigned ……” Afterwards, the Abbot said, “We know you here for a rest, but would you like to talk to the Community about the Ordinariate?” So I talked to them for an hour or so. When I got back, the Abbot wrote to say they wanted to send a donation to the Ordinariate and that has gone into the CaTEW fund. The problem with CaTEW is that the fund they are holding for us will be for the Ordinariate’s general purposes and it is not possible at the moment to hold individual accounts for distinct parish groups. But I am grateful to the Catholic League, which has set up the Newman Fund to provide this facility for us. Thus it is possible to earmark people’s donations for particular parishes and groups, as well as attract Gift Aid tax relief. Once we get our own trust going, we will be able to operate like every other Catholic diocese. But we are only a few days old and it takes a bit of time to set things up. What about identifying the Ordinariate’s principal church and headquarters? At the moment we do not have a principal church; nor have we identified where the headquarters will be. This may be because it will have to be where I live; but I do not know yet where that will be either. I am supposed to be leaving my present house on 31 March and we are currently looking for a suitable house for me to live in somewhere around London. Until we know where that is, we can assume that the headquarters will be where I live, providing it is big enough to accommodate the administration. For the moment, the Bishops’ Conference has given me an office next to the chapel at its building in Eccleston Square. We have not yet identified a principal church. The Tablet suggested that it was going to be St James’, Spanish Place, which was unwelcome news to its parish priest! I do not think we can put out the congregation of 1400 for a group from the Ordinariate. But I am sure something will be found. It is all in God’s hands.